During my army service I had a certain lip balm that had a very specific taste. Even many years later, when I come across a similar semi-strawberry flavor I right away feel like I’m a soldier again, with everything that this feeling arouses in me. I have a similar, or rather an opposite reaction, to the voice of Arik Einstein. When I hear his voice I feel comforted, I feel at home. Einstein is credited as the first one to create Rock music in Hebrew but he wasn’t a great philosopher, poet or activist. I love him not like an idol but more like a friend, a mentor. His voice often accompanies me with me with an advice, a feeling or a story that are usually very meaningful, simple and often wise. you’d say you’ll never come back..
Homesickness. Israel, the sea of Galilee where Jesus walked on the water and mount Tabor, I still remember how in love I was when we hiked there together (she wasn’t that much into me). We had tea on the way down, met some Bedouins who hiked there as well. It was many years ago. Like Einstein, I also love to fall in love with places. I even managed to fall in love with a small town in upstate New York. I love the mountain here and I love the river and I really love the people here. If I live elsewhere I’ll miss all of those, I might even write some songs about them. The exiled Palestinian poet Mahmoud Darwish said that homeland is like a suitcase. I guess for some it is a suitcase, for some it’s the melodies and for some, like me, there is no clear definition of what homeland is. For Einstein, who was born in 1939, homeland was what he called good old Israel, pre-skyscrapers Tel-Aviv, idealism, and some innocent sense that he had as a child and maybe Israel had too. Besides being an incredible performer, that might be what made him so popular among so many Israelis who yearned to similar things. Israelis don’t talk a lot about where they came from. Zionism, the Jewish national movement that was born at the end of the 19th century and eventually established Israel in 1948, intended to bring Jews from different cultures from all over the world and unite them in Israel under the new national umbrella that was inspired by the ancient Jewish state at Biblical times. The Zionist greatest myth, the “Sabra”, is the Israeli Ashkenazi native Hebrew speaking male who was born in Israel and is actively building the country from vacuum while structuring the perfect society that will occupy it. The new Jew that would finally have a homeland of his own and would be the mirror image of the Jew from the diaspora. During the attempt to bring this dream to life languages disappeared, people didn’t find their place and some communities are still looking for their common identity. The Sabra wasn’t supposed to look back much, like a famous saying of Ben Gurion, Israel’s first prime minister – “From Tanakh to Palmakh” – From the Bible to the Jewish combat units. As if nothing happened in between. As much as I know how destructive this myth was for so many people, when I hear Einstein’s voice I believe it, like a child listening to a story. A good story, where we are the good guys and we go through lots of trouble until the happy end. Einstein was a sabra, musically he might have been the first one, or probably the last one. More of a lover than a fighter but still a sabra, maybe even an ultimate one. This song, in which he sing a poem by Avraham Chalphi, is the only one I know of from Einstein’s hundreds of songs in which he sings about Jews who don’t live in Israel. The poem describes them almost as ghosts, flying with mysteriously sparks in their eyes, not really sure what they have to say to the average Israeli. With Einstein, it seems like the Sabra project worked. His figure and beautiful voice seem to be born out of the sand of Tel Aviv, like the city itself that claim to rise up from the sand. Einstein doesn’t seem to be interested too much in Jewish history prior the establishment of Tel Aviv and if he sings of Historical events it’s either of Zionist history or of Biblical characters. After his death, I learned many new things about Einstein. Many Israelis shared stories about his beautiful friendships, his professionalism, his shyness and extreme humbleness. Living on the other side of the Atlantic ocean, I consumed many of these stories through the internet and felt a kind of mourning I couldn’t explain. I didn’t learn anything, however, about Einstein’s grandparents or parents. They must have immigrated to the land of Israel from somewhere, but Einstein, besides singing this song, never says a word about almost two thousands years of Jewish Diaspora. Like the United States, Israel too is inspired by lots of idealistic dreams. The reality, however, is often a bitter awakening from those dreams. One of the few memories I have of my grandfather is his old radio that used to constantly play music in Arabic. This was more than forty years after he immigrated to Israel from Baghdad, leaving his dreams, his career and few other things there as well. He wasn’t a Sabra. I know very little of him, mostly from stories my mom told me. I don’t remember him speaking much, I do remember new year cards from him, written in what I still think is the most beautiful hand-writing I’ve ever seen. Later on I realized that the horizontal shape of his Hebrew letters is actually very similar to Arabic letters. I sometimes wonder what would have happened if as a child I would have sat on his lap and he would have told me stories in Iraqi dialect Arabic. Would he have felt more capable of telling me stories in his mother tongue? would he have laughed with me had I understand Arabic? Maybe he’d tell me about the market in Baghdad, maybe we’d even live or visit there and he’d take me on walks, to his synagogue, to his grandfather’s grave. I lost his cultural inheritance. I don’t speak his language and I know very little of the culture he came from. I just have a vague image of an old sick man that seemed bitter and out of place, always accompanied by a distorted melody out of an old Radio. 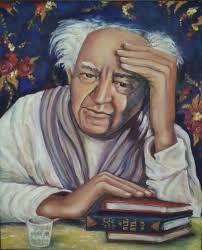 Like Einstein who sings so beautifully Chalfi’s words, Jewish faces of the diaspora often appear in my visions too. If there was any battle between Einstein and my grandfather, Einstein won by a knock-out. West Jerusalem artist Neta Elkayam decided to sing in Moroccan dialect Arabic, the language of her beloved grandmother. Like other Israeli artists before who chose to sing in Yiddish and in other languages, Elkayam is searching for roots and doesn’t find them in the myth of the Sabra. I know Neta and her artwork for more than twelve years but listening to her singing in Arabic is like meeting a new Neta for me, an even more beautiful Neta, with something extra, or rather something raw, more open to pain and to love. I think I understand her better now, even though I have no idea what she’s singing about. I find myself just enjoying the language, the intonation and the performance and the story behind the music is very exciting to me. There is a certain magic in listening to music in a language you don’t understand – the lyrics can mean anything but they function like an extra musical instrument and has no intellectual background to them. I wonder how would it be for me if I haven’t understood Einstein words but have only his voice and the music to enjoy. Together with her partner Amit Hai Cohen they created a show in which they sing songs of Moroccan Jewish musicians who were culture heroes in their homeland but Zionism never really noticed them. Some of these musicians, whose songs are still listened to and being taught as essentials of modern Arab music, died in poverty after having a hard life in Israel with very little recognition of their talent. For Jews, singing in any Arabic dialect in Israel is also a dramatic political statement. For many Israelis the sound of Arabic is threatening, even though Hebrew and Arabic are very similar and about half of them had some level of Arabic in their home, like I had with my grandparents. Neta is gifted with a voice that like Billie Holiday and Oum Kalthoum can take the listeners into another world, regardless if they understand what she’s singing about. Recently, Neta and Amit performed at a famous music festival in Morocco where they had an incredible success. They also perform regularly in Israel and their work brings out a lot of interest. Culturally it is one of the most interesting things that are happening in Israel right now and inevitably it raises many questions about Jewish and Israeli identity. Their journey might have started with hearing Grandma as children but led them through Tom Waits, the Lower east side, Tel Aviv, Existentialism and many more stations, but eventually they got back and sang songs that grandma would have loved. While writing these words I’m waiting for my daughter Maayan to be done with her ballet class and to take her to a show of Gina Samardge, her favorite musician who will probably sing her favorite song – “This land is my land, this land is your land”. While I’m waiting, a few other parents discuss whether it’s better to get a real tree or a fake tree for Christmas. בסרטו החדש של יואב שמיר “10%, מה הופך אדם לגיבור” (להשכרה או קנייה כאן) הוא יוצא למסע הרפתקאות ברחבי העולם בכדי לענות על השאלה שרבים שאלו לפניו – מה הופך אדם לגיבור והאם ניתן לשכפל את מודל הגבורות בכדי להביא לעולם עוד ועוד גיבורים שיהפכו אותו למקום טוב יותר. שמיר יוצא למסע בעקבות השאלה בדומה לסרטו הקודם “השמצה”, שם יצא למסע בכדי לברר מה זאת אנטישמיות ואיפה היא נמצאת כיום. המסע מביא את סיפורם של דמויות רבות מתרבויות שונות, כיאה לשאלה אוניברסלית כל כך. שמיר מדלג באלגנטיות בין קופים באפריקה, חסידי אומות העולם, מנהיגי כנופיות שהפכו לפעילים חברתיים, בחור שהציל נוסע שנפל אל פסי הרכבת, טייס קרבי שהפך לפעיל נגד הכיבוש ועוד. כולם גיבורים בעיני שמיר וכעת נותר רק לברר מה משותף ביניהם ואיך ניתן לחקות את פעילותם בעזרתם של שני חוקרים בעלי שם עולמי. תשובה לשאלה הזו תוביל אותנו לעולם טוב יותר, או לפחות זו התחושה שמקבלים מצפייה בקדימון המעולה. שמיר עובד קשה ונוסע ללא מעט מדינות שונות בכדי להיפגש עם הרבה מאוד אנשים אולם כמה שעות לאחר הצפייה בסרט ניסיתי להיזכר בשמות הגיבורים והצלחתי להיזכר רק באחד. אולי מדובר בזכרון שלי אבל יש תחושה שלא מצליחים להתחבר באמת לאף גיבור – כל סיפור של גיבור הוא יחסית שטחי ולא נכנס ליותר מדי פרטים לגבי חיי הגיבור מלבד המעשה עצמו. אולי כך הדבר מתוך הרצון להראות את חייהם של כמה שיותר גיבורים או מהחלטת עריכה ליצור סרט בעקבות מסעו של שמיר ולא בעקבות הגיבורים עצמם. מדובר באנשים מרתקים שאכן ראויים להיקרא גיבורים אבל לפחות מהסרט לא ברור בדיוק מה הגבורה המדויקת שלהם, מאיפה היא באה ולאן היא הולכת מלבד המעשה עצמו אותו הם ביצעו. מוצגים המון פרטים ביוגרפיים ומחקרים שונים אבל רוב הגיבורים לא מעוררים יותר מדי רגשות. אין מדובר באיכות הסיפור אלא שפשוט אין מספיק זמן מסך עם כל אחד בשביל להיקשר אליו רגשית בתור צופה. שם הסרט נלקח מניסוי מפורסם של סטנלי מילגרם משנות השישים בו נתבקשו אנשים להעניש בזרם חשמלי את מי שחשבו למשתתפים בניסוי שלא ענו נכונה על שאלות שנשאלו. בניגוד לכל ההנחות מרבית המשתתפים הסכימו להתנהג בצורה סאדיסטית כלפי אנשים שלא הכירו ואילו רק 10% סירבו ואלה הם הגיבורים אחריהם מתחקה הסרט. הניסוי הפתיע את הקהילה המדעית ועורר הדים רבים והוא חשוב גם כיום. נדמה ששמיר יצא לחפש גיבורים ומצא את עצמו כגיבור הסרט – מבין כל הגיבורים שמופיעים בסרט שמיר הוא היחיד שמצליח לעורר רגשות מורכבים והוא הדמות היחידה שעוברת איזשהו שינוי משמעותי אותו מצליח הסרט לתעד. 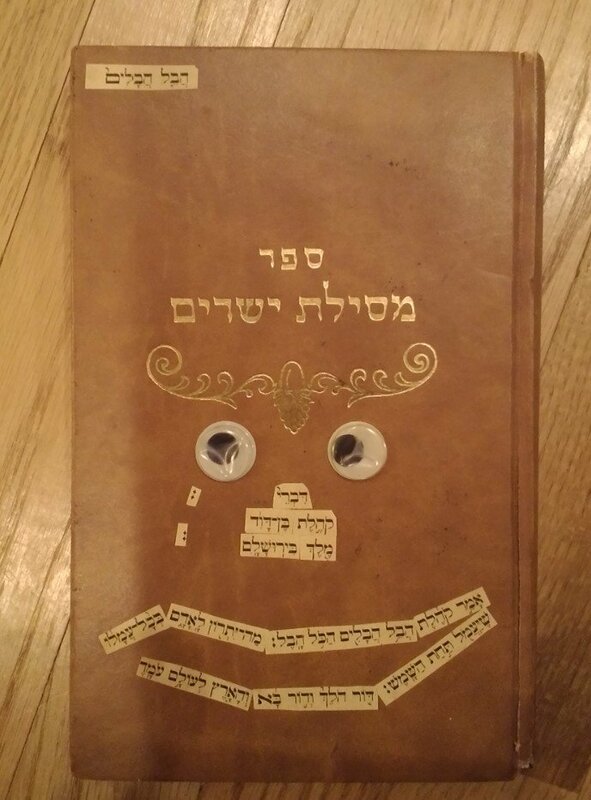 ואיזה שינוי? שמיר בעצם מגלה שאין תשובה לשאלה שהוא שאל, אולי השאלה כללית מדי ואולי הנסיון להשיב הוא אבוד מראש. לא ברור מה הופך אדם לגיבור ולפחות על פי חוקרת מיד ושם המתמחה בענייני חסידי אומות העולם עצם השאלה היא קצת לא במקום. גם חוקרים אחרים לא מצאו משהו יותר מדי מעניין בנושא למעט העובדה שמעשים טובים עושים נעים במוח למי שמבצע אותם וכמו סוגים אחרים של הנאה גם הם יכולים להיות ממכרים. אז נשאלת השאלה – איך עושים מזה סרט? ב”השמצה” שמיר מצליח להכניס את עצמו (ואת סבתא שלו שהיא גיבורה ומצחיקה גדולה בזכות עצמה) בצורה חיננית אל תוך עניינים שברומו של עולם ולהיות במאי שמשתתף בסרט של עצמו ולהוסיף בכך תיבול משובח לסרט שבעיני הוא אחד הסרטים התיעודיים היותר טובים שנעשו בארץ לאחרונה ולדעתי יש בו גם מימד מסוים של גבורה, אם אנחנו מגדירים גבורה כעמידה נגד הזרם והתעקשות לספר פרטים חשובים שאנשים לא אוהבים לשמוע. 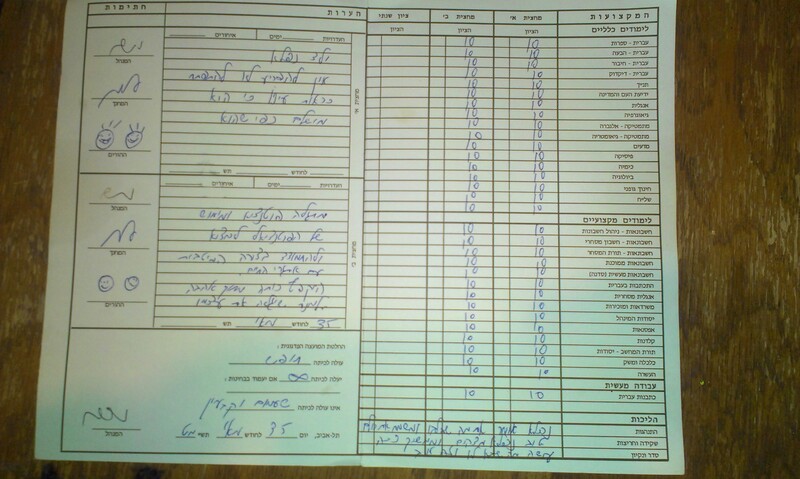 גם בסרטו מ2003, “מחסומים” בוודאי ובוודאי שיש הרבה מאוד גבורה ואומץ אמנותי. ב”מה הופך אדם לגיבור?”, לעומת זאת, נדמה שהגבורה מעט מתפספסת מרוב נסיונות להגדיר אותה. למרות שדמותו של שמיר מעוררת המון חיוכים ורצון לשתות איתו בירה לדעתי טוב היה לפצל את המסע האישי שלו ושל גיבורי הסרט לשני סרטים שונים כי נדמה שבסרט אחד פשוט אין מקום לכל כך הרבה סיפורים, בטח שלא אם מוסיפים למרק כמה מהשאלות המרתקות ביותר לגבי טיבו של המין האנושי ששמיר לא מהסס לשאול. בסופו של הסרט נותרתי עם תחושת החמצה, אמנם הכרתי לא מעט גיבורים מעוררי השראה אבל לא מצאתי ולו תשובה טובה אחת לשאלות שהסרט התיימר לענות עליהם, שכאמור הם כמה מהשאלות הבסיסיות ביותר בנוגע למין האנושי. כמו ב”השמצה” גם כאן יש חינניות והומור אבל חסר חוט מקשר בין הסיפורים, אולי באמת אין חוט מקשר בין הסיפורים הללו ואולי גבורה אמנותית תהיה לומר זאת בפירוש – במקום זאת הסרט עובר מדמות לדמות ונוצרת ציפייה לתשובה מסויימת אך בסוף מקבלים מסר לא ברור, קצת ניו-אייג’י, קצת הזוי ובהחלט שלא עומד בסטנדרט הגבוה של הסוף המעולה של “מחסומים”, שם נרקם חיבור עדין בין מציאות, קומדיה וטרגדיה ששמעון פרס היה בודאי קורא לו מזרח תיכון חדש (למי שלא ראה – מומלץ בחום). כנראה שסרט אחד פשוט אינו מספיק למטרה הנעלה הזו וכדאי היה ליצור סדרה בת מספר פרקים או טרילוגית סרטים בנושא. הדבר הכי טוב בסרט הוא שהוא מצליח לעורר אינספור שאלות ואני בטוח שכל אחת תחשוב על שאלות מרתקות אחרות בעקבות הצפייה. כי באמת, מה הופך אדם לגיבור? מי שמצפה לקבל תשובה על כך בשעה וחצי צפוי להתאכזב, אולי מכיוון שזו שאלה עליה ראוי לחשוב במהלך חיים שלמים. שמיר מנסה לבדוק האם הוא עצמו גיבור ולדעתי נופל בגדול בהנחה שגיבור הוא מי שיסכן את חייו בשביל אחרים, מה שהוא לפחות, כמו רוב האנושות, לא ימהרו לעשות. אמנם זוהי גבורה אבל האם זו הגבורה היחידה? האם אין סוגים אחרים של גבורה מלבד הנכונות לסכן את חיינו? האם לא היו חיילים גרמנים שסיכנו והקריבו את חייהם לטובת רעיונות שפלים? עד לא מזמן לידה היתה כרוכה בסכנת חיים רצינית, האם כל הנשים שילדו ילדים בעבר הן גיבורות? צ’רצ’יל, שרבים רואים בו גיבור מלחה”ע השנייה, לא הקריב שערה משערות ראשו במהלך מלחמת העולם השנייה. סביר מאוד להניח שאם היה בוחר להיכנע להיטלר היה מוצא עצמו במאסר או על עמוד התלייה, משמע לפחות מבחינה אישית גבורתו דווקא מנעה ממנו לשלם מחיר אישי כבד. המכבים, שרבים רואים במעשיהם גבורה עילאית, היו קנאים דתיים שלא היו מביישים את מאיר כהנא ושהביאו חורבן גדול לעם ישראל, גדול הרבה יותר מאשר חנוכת מקדש ועצמאות זמנית שהצליחו להשיג. האם הם היו גיבורים? האם יכולה להיות גם גבורה רגשית, בה הגיבור מתעלה על תחושות או אינסטינקטים שונים מבלי לבצע מעשה ספציפי כלשהו? האם מעשה גבורה יכול להתבצע גם על ידי איש שפל רוח? ועוד ועוד שאלות בנושא גבורה שחשוב מאוד לשאול אך יש להיזהר מאוד בתשובות שטחיות בנוגע אליהן. חשוב לציין שבשביל צופים רבים שמיר הוא אכן גיבור אמנותי שהצליח ליצור את מה שהוא כנראה הסרט התיעודי הטוב ביותר שנעשה על הכיבוש הישראלי. 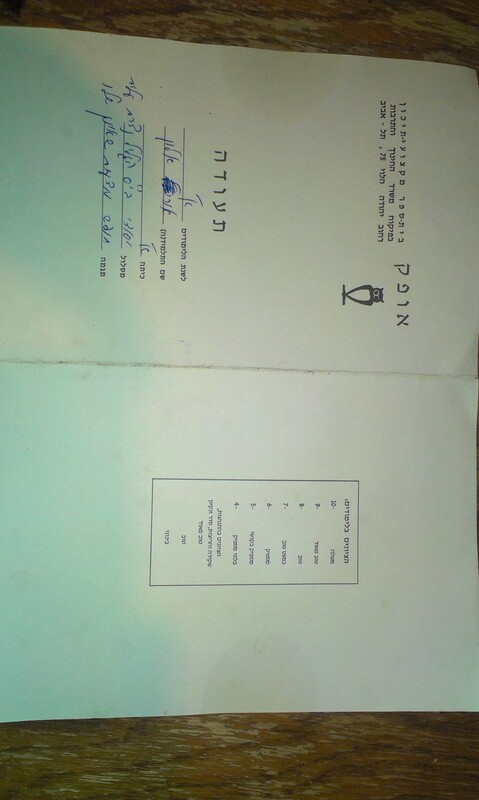 (ניתן לראות את כל הסרט ביוטיוב אבל גיבורים אמיתיים תומכים באמנות שתומכת בהם לכן כדאי גם לשלם. אני לא תמיד גיבור בנושא הזה אבל אני משתדל). לכן, גם אם הסרט הנ”ל הבטיח קצת יותר מדי ממה שסרט אחד יכול לתת, שמיר הוא מהבמאים האהובים עלי שכיף לראות את ההתפתחות האמנותית שלו. למרות שהוא יחלוק עלי בנושא, בשבילי שמיר הוא ללא ספק גיבור למרות שאחרי צפייה בסרט כבר לא ברור לי מה המילה הזו בכלל אומרת. פעם אחת היו רב וכומר מרדפין אחר צאצאיהם בגן השעשועין עד אשר כלו כוחותם והיו מותשין. והיתה בת הרב אצה אלי נדנדה ומפצירה באביה – נדנדני רצוא ושוב, נדנדני נדנדני! והיה הרב מנדנדה, דוחף פעם מלפנים ופעם מאחור כרצון הבת עד אשר החלה כתף הרב דואבת והגיעה שעת דמדומים. והיתה בת הכומר מהלכת בין הקורות ומתישה את רוח אביה עד אשר היתה מגיעה אף היא אלי נדנדה והיתה גם היא מפצירה באביה נדנדני נדנדי, לא כך, מלפנים, מאחור, חדל, המשך. והיו צחוק ובכי נמזגין יחדיו בגן השעשועין והיו הרב והכומר מחליפין מבטים בינהם ולבם נפתח האחד לשני בעוד כוחותיהם תשו. והיה המבט גולש לשיחה והיו מגלין איש על רעהו פרטי פרטים על ביוגרפיה דומה ומערכת ערכים דומה ואמונה שונה, והיה הקשר מפרה ומלמד ונמשך להנאתם. והיתה הדת הנבדלת מקור עניין להם, והיו הרב והכומר נפגשין למה שקרוי בלשון רומי “פליי-דייט” בהן היו הבנות מצחקקות והמבוגרים מדסקסין. והרב היה מחדש חידושים רבים בדרכו לבניית קהילה ברת קיימא והיה הכומר מחדש אף הוא חידושין בקהילתו והיו שניהם אנשי חזון ומעשה, ליברליים אך יחד עם זאת לא פראיירים. והיתה יד נעלמה בדבר, יד ה’ או ידו של הלורד ובמרתף הכנסייה נותר חלל ריק ומעופש. אמר הכומר לחברו – “הבה נהפכהו לגלריית אמנות בה יוכלו כולם ליצור ולהתדיין על עניינים שבין האדם לאל, האל לאדם ומה שביניהם” והיה החזון קורם עור וגידים ואמרו יחדיו “הבה נערוך יחדיו מפגשים בין שתי הקהילות שלנו והיו למדין זה עם זה וזה מזה” והיו עושים זאת, והיתה נוצרת לה תערוכת אמנות בהשראת ראשית ספר בראשית בהשתתפות קהילת יהודי עמק ההאדסון וקהילת זרם נוצרי אחד (Presbyterian) שבעיר ביקון אשר שוכנת על גדות הנהר (ביקון בלעז – מגדלור, ולא בייקון שמשמעו קתלי חזיר). והיתה הגלריה, Faith in art gallery, שואבת לתוכה מבקרים מעטים בלבד בשל מיקומה הלא אטרקטיבי ושאינו קרוב לשום מקום בו אפשר ללגום אספרסו (המקימים של הכנסייה לפני 150 שנה, מה הם חשבו לעצמם בדיוק?). להלן עבודותי שלי בתערוכה, הסיפור שסיפרתי הוא בסך הכל נכון אבל עם הפרטים הייתי קצת גמיש. את שאר היצירות ניתן לראות כאן, חלקן הן עבודות מעולות בעיניי. מעולם לא דמיינתי לעצמי שאשתתף בתערוכה קבוצתית בכנסייה ולזכות כל הנוגעים בדבר ייאמר שמלבד טקסט אחד שרציתי להציג בתערוכה ואולי באמת עבר איזה גבול או שניים ניתן חופש אמנותי גמור להרבה אמנים שה’ או ישו לא בדיוק שוכנים בלבם, סחתיין לרב והידד לכומר . חוויית הלימוד המשותפת גם כן היתה מיוחדת ולא רק בגלל שגם הרב וגם הכומר הם באמת אנשים מיוחדים ומבריקים בתחומם אלא כי באמת היה לימוד ושיתוף (חלק מהשיעור היה פשוט שיחה מוכוונת בקבוצות קטנות). אני סקרן לדעת האם אפשרי שבית הכנסת הגדול בירושלים, מסגד אל אקצה וכנסיית הקבר יזמינו אמנים יהודים מוסלמים ונוצרים ליצור תערוכת אמנות משותפת בנושא המשותף לכולם, למשל יחס החברה שלהם לארץ הקודש, יחסי גברים-נשים, מסורת מול קידמה וכו’. אם חזון “וכתתו חרבותם לאתים” אפשרי גם אפשרי לביצוע אז זו דווקא לא פנטזיה גדולה כל כך. שוק מחנה יהודה, לילה. ביחד עם גלריה “שודדי י-ם” הייתי מהמארגנים של אירוע תרבות אלטרנטיבי שנקרא רובע אמנים בשוק. הזמנו בצורה פיראטית עשרות אמנים להציג, לנגן ולהנות בסמטאות החשוכות של השוק אותן הארנו קלות (בינתיים זה כבר נהפך לאופנה) ונוצרה חגיגה ספונטנית ומאוד כייפית יחד עם הרבה אנשים שעברו ליד במקרה והצטרפו אלינו. בערך בשתיים בלילה הגיעו לשם גם שני אנשים שלא הכרתי עם ארגז מלא ניירות. הם מצאו בפח האשפה ערימה ענקית של תעודות סוף שנה של בית ספר יסודי והם הזמינו אנשים ל”משרד” (בסטה) שלהם בכדי לכתוב להם תעודת הערכה שנכתבה במקום. אני זוכר שהם שאלו אותי אם יש איזו שנת לימוד אותה אני רוצה “לתקן” וכנראה שכמו רבים אחרים גם לי יש שנה כזו, או בעצם כמה שנים כאלה אבל החלטתי להתמקד באחת – בכיתה א’. למי שמתעקש לדעת – יום בהיר אחד קצת אחרי שלמדתי לכתוב החלטתי לכתוב את התסריט של גבעת חלפון בפנקס צהוב קטן, או לפחות את מה שזכרתי ממנו. את סצינת הסקס שם תיארתי כ”ואז ראו אותם מזדיינים”, מה שהוביל אותי לשיחה עם המנהלת ממנה התחמקתי כשהחלטתי להתחבא בשירותים במקומה. אחרי כמה ימים של התנהגות לא שגרתית חשבו שמשהו לא בסדר איתי ושלחו אותי לפסיכולוגית שהחליטה שאני פשוט משועמם אז הקפיצו אותי לכיתה ב’, לא זכור לי שמישהו דיבר איתי על המקרה הזה בתור ילד אך בתור מבוגר הוא הפך למעין מיתוס משעשע. מאז המקרה הזה לא כתבתי משהו אישי או יצירתי עד אשר מת אבי שנים רבות אחר כך. אני לא יודע כמה פעמים הודיתי להם, בעודי שיכור ועיף וגם אחר כך לא הפסקתי להודות להם בלב כל פעם מחדש על החוויה המיוחדת הזו. יחד איתי הם יצרו, מבלי להכיר אותי, את החוויה האמנותית שהיא אולי המשמעותית ביותר שחוויתי בחיי. הם התנהגו כמורים תומכים שנותנים לי תעודת הערכה ומרעיפים עלי מחמאות אינספור, איזה ילד קסם אני ושבכל המקצועות אני פשוט נהדר. הרגשתי איך אני חוזר באמת לילד שהייתי בזמנו, לא בהכרח ילד “בעייתי” וגם אם לשוני היתה גסה ברור היה שאין לי מושג מה זה בכלל אומר ללכת להזדיין (והיום, האם אני יודע מה זה אומר באמת?). אני לא יודע מה עשיתי רע למחנכת שהחליטה לשלוח אותי למנהלת. אולי המילה הפחידה אותה, אולי היא חשבה שאני יודע למה אני מתכוון ואולי היתה לכך סיבה אחרת. אולי לא ידעתי מה זה אומר ללכת להזדיין אבל כנראה שלשם המורה היתה יכולה לשלוח אותי אם המזל, הפסיכולוגית ואמא שלי לא היו עוזרים לי קצת. אולי היא הייתה יכולה לתת לי את התחושה שמשהו לא בסדר איתי (בתור אדם בוגר אני מרגיש באמת מדי פעם שמשהו לא בסדר איתי, אולי היא צדקה) בגלל שציטטתי משהו שלא הבנתי. אולי התחושה הזו היתה הולכת איתי ואולי היא באמת קצת נשארה איתי מאז. בכל מקרה, אם מישהו אי פעם ידרוש ממני אותה, אני את התעודה שלי מכיתה א’ שומר קרוב ללב. כפי שאפשר להיווכח מהתמונה, ויש גם חתימה, הייתי ילד מיוחד שיש להניח לו להתפתח כראות עיניו, רק שיגדל ויעשה טוב לעולם. שני האנשים היקרים הללו הפיצו אהבת חינם, אולי בצורת אמנות ואולי הם בכלל לא חשבו שמדובר באמנות אלא בגמילות חסדים, באנושיות, בטוב לב. אולי גם הם היו שיכורים וזה פשוט היה נראה להם מצחיק. תושבי מוזמביק הוזמנו למסור כלי נשק מכל סוג – בין שהיו ברשותם, ובין שנודע להם מקום מחבואם, ובתמורה לקבל ציוד שהם וקהילותיהם יוכלו להפיק ממנו תועלת. בהתאם לסוג וכמות הנשק שמסרו קיבלו התושבים אופניים, מכונות תפירה, חומרי בנייה וכלי עבודה חקלאיים פשוטים כמו מעדרים ומחרשות. במקרה אחד כפר שלם החליף 500 מכונות ירייה בטרקטור. בפרויקט מועסקים חלק מהילדים-חיילים לשעבר, ויתרון גדול נוסף שלו הוא שאינו מזוהה עם רשויות השלטון. זה מאפשר למורדים לשעבר למסור את נשקם ללא חשש שמא ייחשפו וייענשו. כאן אין שואלים אותם לשמם או דורשים מהם דין וחשבון על מעשיהם בתקופת המלחמה – הנשק נלקח מהם, ובתמורה ניתנת להם הזדמנות לפתוח בחיים יצרניים, להתפרנס למחייתם. זו לא עוד קלישאה. בארץ שבה רבים נאבקים להשיג מעט כדי לאכול, מחרשה פשוטה אחת יכולה להיות ההבדל שבין חיים ומוות. מעל 600,000 כלי נשק כבר נאספו בדרך זו בעשר השנים האחרונות. הפרויקט כל כך מצליח באיסוף כלי נשק מחיילים לשעבר, שממשלות אפריקניות נוספות – כמו אנגולה והרפובליקה הדמוקרטית של קונגו – שוקלות ליישם תוכניות דומות. כדי להבטיח שלעולם לא ייעשה בהם עוד שימוש, כלי הנשק מפורקים, מותכים ומושמדים.